Dr Shailendra Chouksey is a Ph.D in Management, Post Graduate in Physics and is a MBA from the Faculty of Management Studies, Delhi University. He has over 40 years of corporate experience. He has been with JK Group for last 30 years. 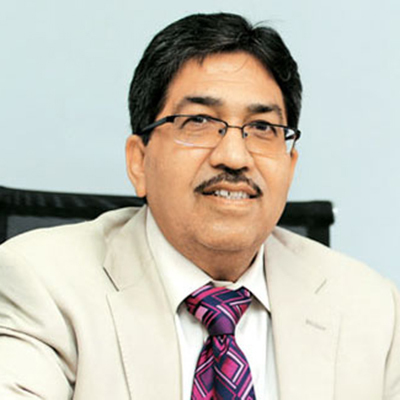 He was elevated to Wholetime Director and inducted in the Board of JK Lakshmi Cement Ltd in 2002. The Company is engaged in the manufacturing and marketing of different varieties of cement. He is responsible for all the commercial, financial and marketing activities of the company and is responsible to lead company’s large distribution network of Sales Promoters, dealers and transporters to achieve company’s objectives and Brand Positioning. He has been a member of Managing Committee of Cement Manufacturers Association for the last 25 years. He is currently President of Cement Manufacturers Association. He is also Chairman of Development Council for Cement Industry, constituted by Government of India.